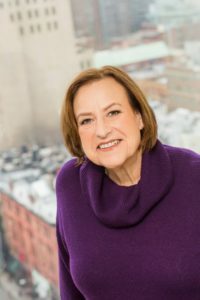 Rothstein - Joelle Delbourgo Associates, Inc.
Marilyn Simon Rothstein is the author of Lift and Separate, winner of the Star Award presented by the Women’s Fiction Writers Association for Outstanding Debut. Lift and Separate has topped the Amazon Best Seller charts in the categories of Satire as well as Humorous American Fiction. Her second novel, Husbands And Other Sharp Objects, was released by Lake Union Publishers in 2018. Marilyn grew up in New York City, earned a degree in journalism from New York University, began her writing career at Seventeen magazine, married a man she met in an elevator, and owned an advertising agency for more than 25 years. She received an M.A. in liberal studies from Wesleyan University and an M.A. in Judaic studies from the University of Connecticut. She enjoys reading, theater, fillm and other activities that do not require motion. Twice a year, she hosts large, boisterous groups for holiday dinners two nights in a row. Marilyn lives in Avon, Connecticut, near Hartford, with her husband, Alan.